Sell my sport bike Florida, sell my street bike Florida, sell my cruiser Florida or sell my dirt bike Florida no matter which phrase your searching or type of bike your selling, we can help you. At sell my motorcycle online, we are looking for used sport bikes, cruiser, street bikes, dirt bikes, atvs or what ever powersports vehicle you have. We offer competive pricing on all bikes throughout Florida! Selling a Goldwing or Harley in Florida? We will buy them from you as well. We pick up the bikes directly from you, so no worry about delivery. 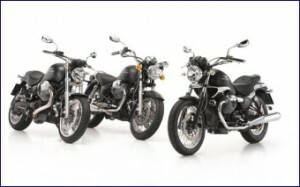 At Sell My Motorcycle Online we are always looking for great bikes to buy, and we will go as far as offering a deposit on your bike to ease any worries you might have. When looking for where to sell motorcycles in Florida, look no further than Sell My Motorcycle Online. We have maintained a repution of giving a fair price for Motorcycles we purchase and paying cash… FAST! Start the process today, fill out the form below and we will be offering you cash for your bike in no time!